Kick Start Coconut Oil for Dogs! 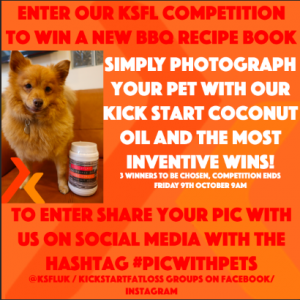 Home » Health Awareness » Kick Start Coconut Oil for Dogs! Who knew Kick Start Coconut Oil is also FANTASTIC for our furry friends?! So we all know it has amazing benefits for humans… but what can it do for dogs? Most of the coconut oil benefits come from it’s antibacterial, anti-fungal properties. It also provides a fast source of fuel and energy, enhancing performance and aiding weight loss. In dogs the coconut oil can balance the thyroid, helping overweight dogs lose weight and helping your dog feel more energetic! Research shows that coconut oil gently elevates the metabolism, provides a higher level of energy and vitality, protects you from illness, and speeds healing. As a bonus, coconut oil improves any dog’s skin and coat, improves digestion, and reduces allergic reactions. It is recommended 1/4 teaspoon for every 10 pounds of body weight twice daily for basic support, but don’t go crazy as too much can result in very soft stools! So give it a try and let us know how your doggy is benefiting from the fantastic product that is coconut oil! 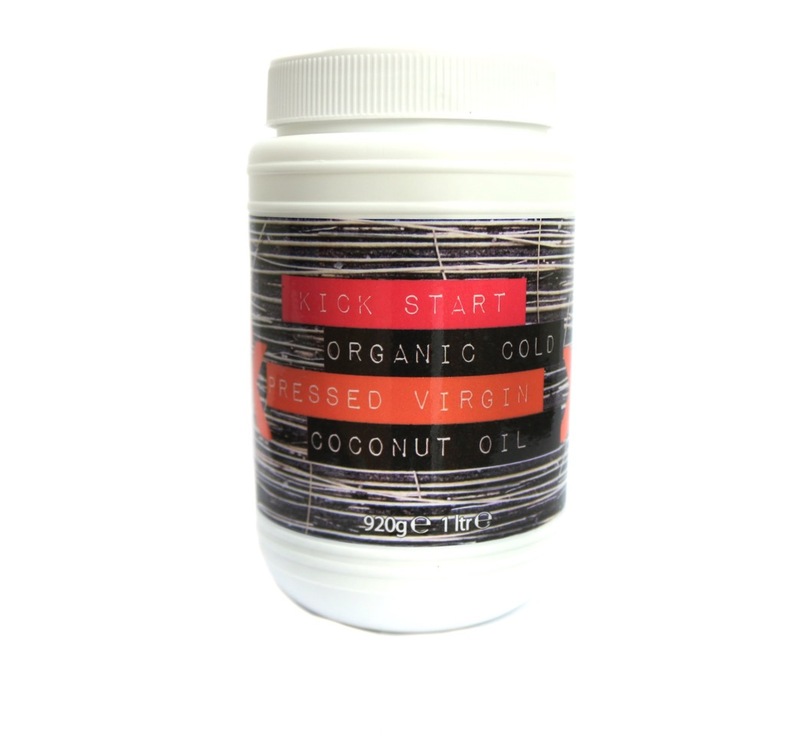 Kick Start Coconut Oil is available to buy HERE. The top 3 most inventive pics win a NEW BBQ & PARTY BOOK! So get entering for your chance to win! Entries close 9am Friday 9th October.